There are about 48,000 corneal transplants done each year in the U.S., compared to approximately 16,000 kidney transplants and 2,100 heart transplants. Out of the 48,000 corneal transplants done, 10 percent of them end up in rejection, largely due to poor medication compliance. This costs the health care system and puts undue strain on clinicians, patients and their families. Now, Johns Hopkins researchers may have discovered a way to prevent rejection by using biodegradable nanoparticles that release needed medication into the eye after surgery. This discovery could solve the decades-old issue of medicine compliance and help patients achieve corneal transplant success. The team state that medicine compliance is a major challenge in patient care with 60 to 80 percent of patients not taking medicine the way they are supposed to. In an animal study the researchers looked into ways to alleviate the strain of adhering to a post-surgery treatment regimen that is sometimes hard to manage. Rats that underwent a corneal graft surgery were randomly divided into four groups and were given various treatments. One group was injected weekly for nine weeks with a safe, biodegradable nanoparticle loaded with corticosteroids for timed release of medicine. The other three groups received weekly injections of saline, placebo nanoparticles and free dexamethasone sodium phosphate aqueous solution after surgery, respectively. Treatments were given until the graft was clinically deemed as failed or until the nine-week test period concluded. The researchers looked at corneal transparency, swelling and growth of new blood vessels to decide if a graft had failed. For rats that received the nanoparticle loaded with corticosteroids, 65 percent of the treatment remained in the eye and did not leak within one week of the surgery. The concentration of the treatment also remained stronger than in the other three treatment groups. Additionally, there were no signs of swelling, and the cornea was clear throughout the test period. There were also far fewer instances of unwanted growth of new blood vessels in this group. The team explain that corneal grafts are not easy to come by, and a lot of testing and time goes into ensuring the safe use of a graft for cornea transplant, adding that the current study illustrates a potentially better way to make sure corneal transplants don’t end up in rejection. As the steroid-loaded nanoparticle treatment group showed no signs of corneal transplant rejection that’s 100 percent efficacy, a very promising finding. 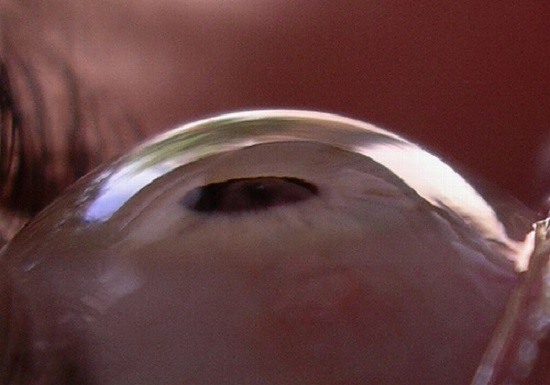 This type of treatment may also help prevent corneal transplant rejection in humans while making medicine adherence much easier on patients and their families. The team summise that the nanoparticle loaded with medication could eliminate the need for a patient to remember to take their medicine, often multiple doses per hour, after a surgery, alleviating compliance risk. These types of drug delivery systems could be paired with other drugs and used in other conditions, such as glaucoma, macular degeneration and corneal ulcers, among others. The research team intends to continue the collaboration between engineering and medicine to look further into better ways to treat eye diseases.